Nearly 23% of adults suffer the pain, stiffness, and inflammation of arthritis, a condition that’s the top cause of disability. Gerald Morris, MD, MPH, and Amanda Bacchus-Morris, MD, MPH, at AMG Medical encourage you to schedule an exam at the first sign of joint pain and stiffness. Early treatment can slow down the disease’s progress and help keep you moving. To learn more about arthritis treatment, call the office in Tucson, Arizona, or book an appointment online today. What are the most common types of arthritis? Arthritis is an umbrella term that includes more than 100 different conditions. Each type of arthritis is unique, but they all share one common symptom: joint inflammation. You can get arthritis in any joint, but it most often affects the knees, wrists, hips, toes, and fingers. Osteoarthritis, the most common type of arthritis, develops over years of wear-and-tear on your joints that gradually breaks down the cartilage on the ends of bones. As cartilage wears away, the bones can’t move smoothly. As a result, you develop pain, stiffness, and inflammation. The irritated bones in your joint lead to bone spur formation, which causes additional inflammation and pain. Rheumatoid arthritis is an autoimmune disorder that happens when your immune system attacks your joints, causing inflammation, swelling, and subsequent joint pain and stiffness. As the disease progresses, ongoing inflammation erodes the bones, which ultimately causes bone deformities. Where osteoarthritis affects one side of your body, rheumatoid arthritis develops in the same joint on both sides of your body. In about 40% of patients with rheumatoid arthritis, the inflammation spreads beyond the joints. When this happens, you could develop problems in your eyes, skin, nerves, and organs. It’s estimated that 12% of all cases of osteoarthritis develop when a joint injury, rather than long-term wear-and-tear, causes cartilage degeneration. Post-traumatic arthritis generally occurs in the months following the injury. However, you’ll have a higher risk of developing osteoarthritis as you get older, even if you don’t develop arthritis shortly after the injury. Treatment for arthritis focuses on reducing inflammation, relieving pain, and preserving joint mobility, three goals that are accomplished with a consistent exercise regimen. It’s important to stay active, but you also want to balance activity with rest to avoid excess stress. Oral medications such as NSAIDs — aspirin, ibuprofen, naproxen sodium, as well as a whole host of prescription painkillers — and topical treatments like capsaicin can help relieve your pain. Medications that are specially formulated for rheumatoid arthritis can slow down progressive joint damage. If you’re overweight, losing weight can significantly relieve arthritis symptoms. Your doctor at AMG Medical can help you with a weight-loss plan, dietary counseling, and tips for making lifestyle changes. You could also benefit from supplements such as glucosamine and/or omega-3 fatty acids. You can overcome arthritis pain and inflammation with help from the team at AMG Medical. Call the office or book an appointment online today. 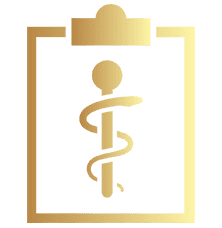 AMG Medical offers a wide variety of internal medicine and primary care services to help tend to the health of their patients. For any questions or concerns regarding the services and treatments offered, please feel free to contact our office.